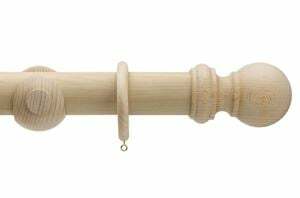 Create your own finishing touch with our unfinished wooden curtain poles. The unfinished poles are untreated and can be painted or stained at home in a colour or finish of your choice. 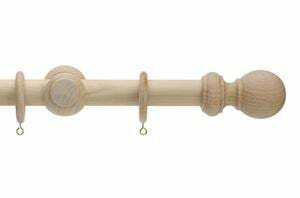 Our unfinished wooden poles are presented as complete pole kits and combine a quality FSC approved wooden curtain pole supported by strong brackets to offer a range that you can rely on time after time. 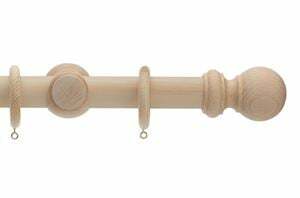 These unfinished poles are an exciting way to put your own stamp of you interior design and can be painted or stained at home in a colour or finish of your choice. Available in lengths from 120cm to 360cm and diameters of 28mm to 50mm, you'll be certain to find your ideal pole!